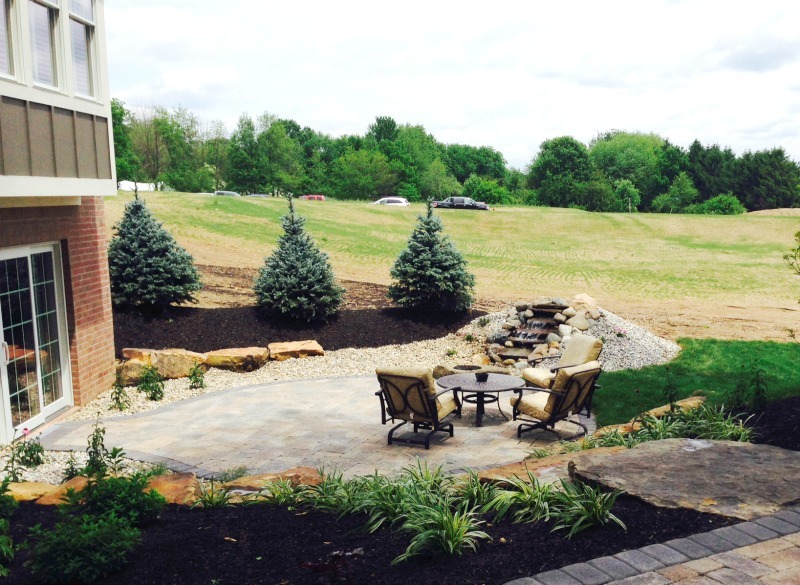 Home Artisans member Wesley’s Landscaping & Lawncare started from scratch when they worked with Heartwood Homes on the landscaping for their Home-A-Rama 2014 house. The new construction site was basically mud, and the project began in May, a particularly bad month for wet, unpredictable weather. Wesley’s Landscaping and Lawncare crew transformed this blank slate into a very pretty and usable backyard living space. The future owners of this new home loved to entertain, and loved to be outside. They wanted lots of space to host people for dining, grilling, and enjoying a fire pit and a water feature. The walkout basement and sloped yard provided a challenging space to design. Wesley’s found that building two patios on different levels would provide enough room for all of the different functions and features the homeowners desired. The walkout basement led directly to the smaller ground patio, which was shielded by the natural slope and trees to create a more private space. This area contained the waterfall and fire boulder, offering a quiet, peaceful setting. The large top-level patio provided ample room for dining and grilling. Steps connect this patio to the ground level and to the upper porch. These spaces incorporated a mixture of pavers, natural stones and rocks to create a modern and neutral tone. Around the property, Wesley’s installed low-maintenance plants and landscaping optimized for year-round color. Spring flowers and hydrangeas keep the land looking fresh during the warm seasons, and the line of blue spruces around the ground level patio provide privacy and a cool winter color. The end result was a welcoming, comfortable and low-maintenance backyard living space. The homeowners loved the transformation, and enjoy their outdoors on a daily basis. 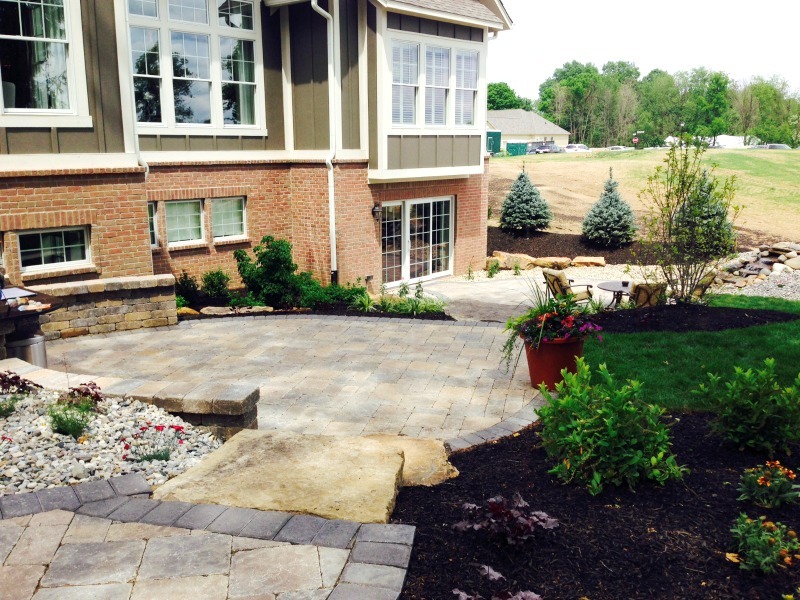 Have questions about this project, patios or landscaping? Reach out to member Gregg Pulley, Wesley’s Landscaping & Lawncare.